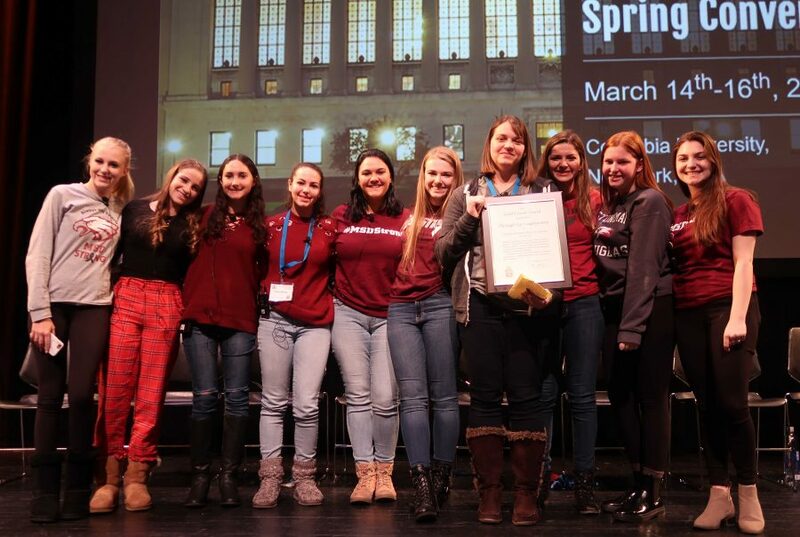 The Eagle Eye staff of Marjorie Stoneman Douglas High School after receiving their gold crown award at the Columbia Scholastic Press Association (Courtesy of M. Simons, CSPA). Last week, members of The Voice staff had the opportunity to attend the Columbia Scholastic Press Association (CSPA) in New York. There, staff writers and editors attended journalism sessions with schools from around the country. 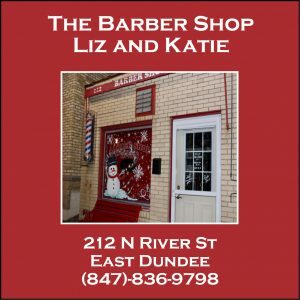 They were able to learn from professors and professionals, as well as rub elbows with some of the best programs in the country. The student journalists and advisers from Marjorie Stoneman Douglas High School in Parkland, Florida were there to tell their story and how they planned on covering the tragedy that took place at their school, killing 17 of their fellow teachers and classmates. The Eagle Eye staff sat on the auditorium stage in a panel-like format, all sporting MSD apparel and #MSDSTRONG shirts. The auditorium quickly became overcrowded, with convention attendants having to turn students away at the doors. However, CSPA Executive Director Edmund Sullivan felt that this was too important and opportunity for these young journalists to miss. “If you’re standing in the back or along the sides then you’re not supposed to be in here…but I don’t see anyone standing. Do you?” Sullivan said with a smirk. Several rounds of applause later, the Eagle Eye staff, led by adviser Melissa Falkowski, introduced themselves, their positions, and how the tragedy impacted what they do as journalists. Several of the students mentioned how immediately following “everything had happened,” they had cameras on their hips ready to take pictures and record history. They focused on the beauty of the aftermath, like the flowers, teddy bears, posters, and candles of the vigil. “It’s difficult to balance being a survivor, but also being a journalist,” one of three Eagle Eye editors-in-chief said. As the Parkland community, and communities all around the nation for that matter, took time to mourn, these students began planning their next issue. The next issue of Eagle Eye, a quarterly news-magazine, will tribute the 17 victims of the mass shooting that took place on Feb. 14. Parrow explained how after the tragedy, they had to completely renumber and reformat their book to include tributes and pictures. As the session began to wrap up, students and advisers lined up behind two microphones situated in both main aisles to give praise and ask questions. There was not a dry eye in the room. As student journalists reunited with each other at the end of the session, they cried, hugged, and wiped each others tears; they were relieved that it was not them up their sharing their story but also aware of the fact that it very easily could have been. The Eagle Eye staff of Marjorie Stoneman Douglas high school was presented a gold crown, the most prestigious award that could be won. These survivors showed the rest of their counterparts that journalism is not dying, it is most certainly alive. Afterall, it’s their story. They were there to tell it.